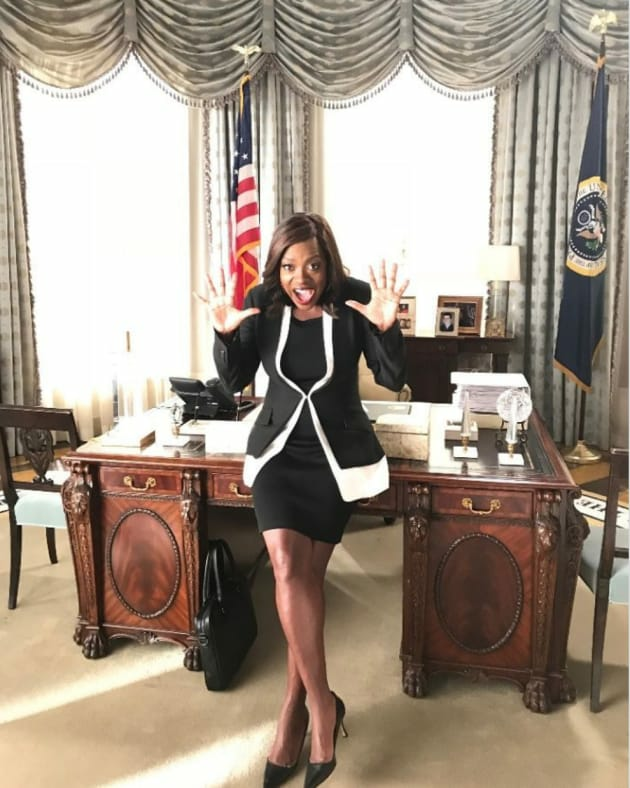 Viola Davis stopped by the set of Scandal Season 7. 2018 Emmy Nominations: And the Winners May Be... ? Scandal & How to Get Away with Murder Crossover: When Will it Air? Scandal & How to Get Away With Murder Crossover: Confirmed! I am not a toy that you can play with when you're bored or lonely or horny. I am not the girl the guy gets at the end of the movie. I am not a fantasy. If you want me, earn me! Until then, we are done. Olivia: I don't want normal, and easy, and simple. I want..
Edison: What? What do you want, Olivia? Olivia: I want painful, difficult, devastating, life-changing, extraordinary love. Don't you want that, too? Edison: Love is not supposed to be painful or devastating. Love isn't supposed to hurt, Liv. Scandal Star Joshua Malina Pranked by Jimmy Kimmel: Watch the Hilarious Video! Scandal Series Finale Featurette: Who Will Get a Happy Ending? !